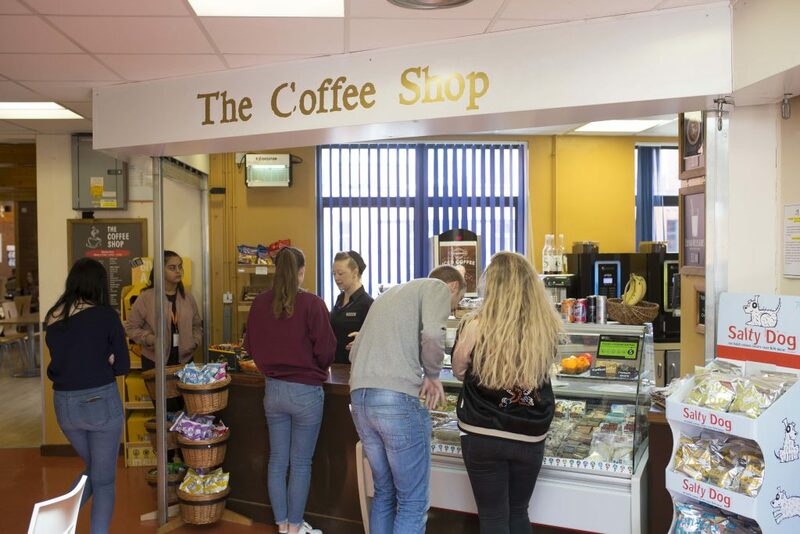 Students can choose to eat and relax in a variety of outlets at the Bridgwater campus. Each offers value for money menus, with regular special offers and deals, whether you are purchasing breakfast, lunch or dinner. Special dietary requirements are catered for where possible and we aim to source locally grown and organic produce. The Restaurant in the main building is the largest outlet and serves cooked food at breakfast and lunch times as well as in the evenings. Adjoining the Restaurant are the fast-food Diner and the Coffee Shop. The Zone is in the Health and Fitness block and the Energy Skills and Advanced Engineering Centres have their own Café. In addition, the College has vending machines and a shop selling drinks, snacks and confectionery. Students can sign up for an account that allows payment at our restaurants using just their College ID card. Find out more about Meal Cards and our cashless payments system.